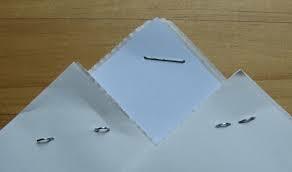 As I pulled hard the stapled pin, trying to detach it from the bunch of papers, the pin came out tearing the edge of sheets. Grumbling curses at the untidy way I had handled the papers, I took hold of the next set. Taking great care and trying to avoid the same mistake again , this time I pulled the pin very gently. The pin came out smoothly, but still left the papers with its marks. I did it in the most gentle way yet I could not undo the minimal damage the pin had done. I rearranged the jumbled set and stapled them again, thus imprinting a new mark on them and in a way damaging the paper’s original presentation. Anyhow I finished my work and relaxed back in my bed. I felt a sudden urge to go out in the open and take a walk. But then I thought about my mother whose call was to come anytime and I feared the amount of worry she had for me. If she came to know that I had gone on a stroll at this hour of the day, her tensions might just flood up more. So I put aside the idea and tried to bounce back to sleep again. But a thought kept disturbing me. I recalled the stapler incident and tried connecting it to my mother’s worry effect on me. Just like the stapler’s attachment to the paper had damaged the paper, similarly my mother’s attachment to me had left a mark on my life. I feared doing things that might worry her. Fear and worry came out as results of our attachment to each other. I wondered at the number of souls to whom I am attached and what all results has my attachment fetched the relation? To my surprise a huge array of negative emotions were linked to this attachment of mine. 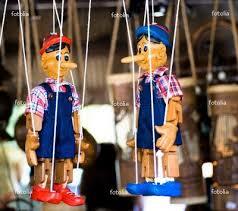 Take it expectations, worry, fear , anger, distrust all were a by product of the strings I had attached to people. Attachment had left me more emotional than practical. And it wasn’t just people but also things, religions, belief systems and what not. Now take for instance, why are the Hindu Muslim groups fighting? Answer is attachment – ATTACHMENT TO RELIGION. We don’t even logically judge the situation, we just behave in a way that justifies our attachment. We take literally no time in binding strings to things, people, situations. What happens when we fight with a loved one? Attachment works again. We take the words spoken by the person so close to our hearts that it becomes impossible for us to forgive them. Reason is we are attached! Now you tell your story to an outsider that this is the issue that bothers us, they will have an immediate solution at hand. Why?? Because they aren’t attached. Why couldn’t we, think of a solution? Because we were so overwhelmed by the fight and the person in it. Attachment isn’t good , it is in all its forms – selfish. We cry for our a loved one who dies, not because they are not here anymore but because I fear how MY LIFE would be without them. How will I survive without them. It’s ME. I fear a breaking relation not because how the other person would feel but because how would I feel?, how would I do things without them! A criminal’s mother keeps defending her child even when she knows the truth, Why?? Answer remains the same – Attachment. We need to realise the urgency of being detached from things, people and situations. Detachment doesn’t imply rigidness or being cold. Not at all. Detachment means analysing things the way they are after getting rid of ropes and strings. For instance a son has to go to a foreign country to complete his education. But his mother is not ready to take the step just because she is too much attached and cannot let her child go. And in a way she deprives her child of an opportunity that he could have availed. Maybe the entire life he keeps blaming his mother for the experience he missed. Instead if the mother had behaved logically and sent the child happily, the son’s future might have been a different one. We need to realise that we need to give people their space. We shouldn’t burden them or drop our responsibility on them making them the guides of our life. A healthy relation is one where you care for the other not where you impose yourself on the other. If a loved one is in pain due to an emotional issue , my responsibility goes in understanding their situation and giving them the power to come out of it and not in crying in their pain. If they are hurt, I have to cure them and not carry the hurt myself. We need to heal people and things around us and not damage or imprint them with our issues and worries. ” Charity begins at home” they say! And true it is. We need to first love ourselves, make ourselves happy and then only we can care for the whole world! An UNCHARGED battery cannot by any means charge another. We need to first charge ourselves and then with a DETACHED VISION help others. Because attachment isn’t a positive emotion! Don’t mix it with care. Love has to be unconditional and if its conditional it has attachment involved. Let go of this attachment and a new perspective would definitely await us! Making it a difficult chase! Reduced to a wimpy elf! Hurt came even from a feather. No where could I see my win! Clearing away my unending debts! Offering me a decorated bowl! 20 Responses to "DE-ATTACH YOURSELF"
As always, your analogies are simply amazing! 😉 And your poems too. It’s very true. And I’ve never realized it in this way until you put it in this context. I love your writing and your blog.